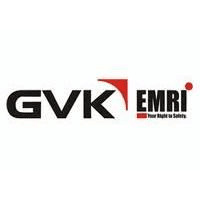 Emergency Management & Research Institute - GVK EMRI Ahmedabad published an official notification for Recruitment of Doctor, Manager & Territory In-charge posts. You can view more details about this recruitment including No. of posts, name of post, Educational qualification, Age limit, Selection process, How to apply etc... You can view official advertisement by following link. Marketing Manager: Should have 8 + years of an experience in branding, Marketing, media planing Qualification Must (MBA/Post Graduate).